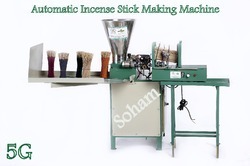 Offering you a complete choice of products which include automatic agarbatti making machinery, automatic incense making machine, automatic incense stick making machine soham 70, automatic incense stick making machines, incense making machine and incense stick making machine. 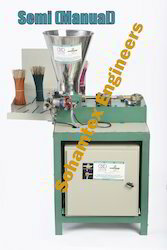 Production Capacity: 40-65 Kg / 8 Hr. Production Capacity: 60-75 Kg. Per 8 Hr. These Machines are highly appreciated for its high quality, durability and optimum performance. 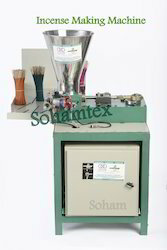 These finest grade quality Incense stick Making Machine can be customized in accordance with client's requirements. 5G Speed agarbatti Making Machine. 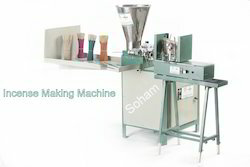 Fully Auto 5G-220 Sticks making machine With nano feeder. • World’s high production up to 60-75 kg dry/8Hr.only. • Machine weight: 140 kg. 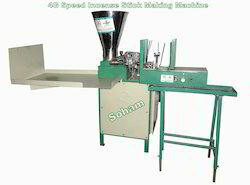 Production Capacity: 60-75 Kg / 8 Hr. 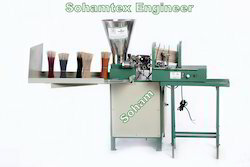 Free: Material mixing formula, contacts of raw material supplier,Training of machine operating and general maintenance.